Downey Daily Photos: And they're off! Yesterday's Kids Day at Furman Park provided lots of entertainment, both for and by the kids. 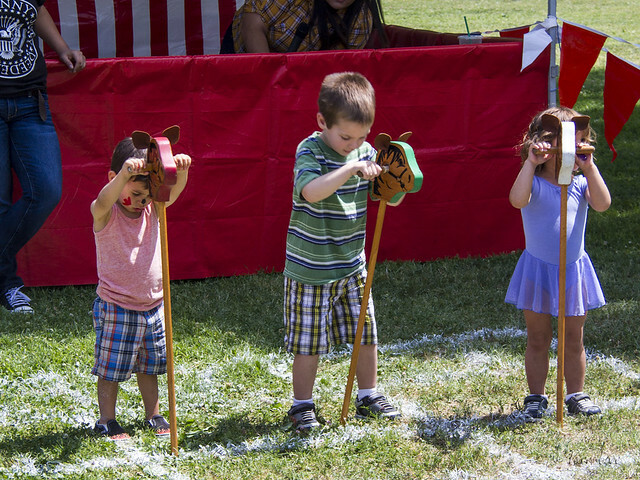 The smallest kids had fun at the hobby horse races, where it was a close race as these three moved towards the finish line square by square. On center stage, a variety of acts provided entertainment for the crowds. 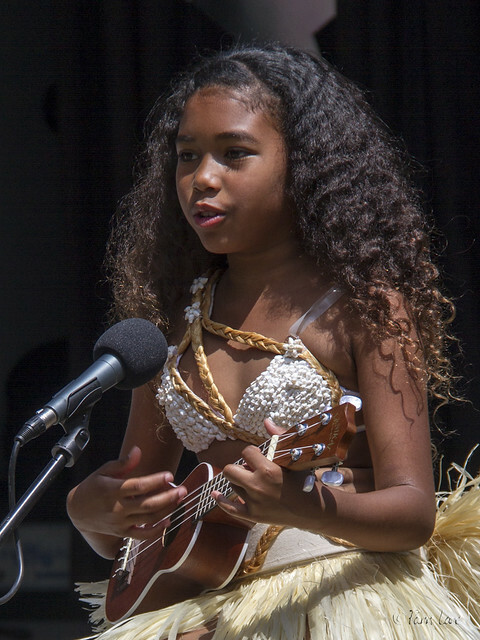 This young girl was singing and accompanying herself on the ukelele.